Monday means another day of makin' friends. A few things that you cannot live without. I couldn't live without my family. 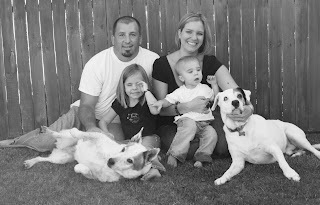 My husband, kids & puppies are amazing. Everyday is a new & fun adventure in our house...thank goodness for my blog...you guys get to read about our fun and crazy life! I couldn't live without Mexican Food...'nuf said!! You want Mexican for lunch now don't ya? 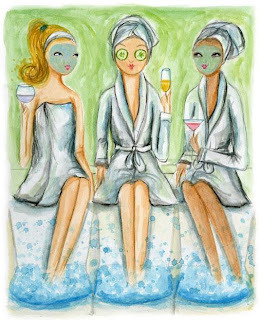 I couldn't live without manicures & pedicures. I love fresh polish even if I do it myself! I couldn't live without coffee! I couldn't live without my camera. What are a few things that you couldn't live without? 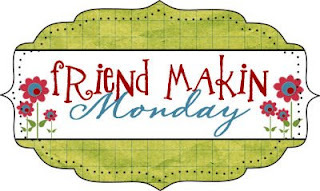 To Join in on the Friend Makin' Monday fun hop on over to Amber's Blog. Mexican food is so so delisious! Great list! I'm right there with you on the Mexican food. So yummy! I LOVE Mexican food. We could eat it almost every night at our house! Yes I do want Mexican food now- thanks for the craving lol! Happy FMM! Great list! I'll second all of them except the coffee. Give me some diet coke and sweet tea! Hey, come sign up for my giveaway! mmmmmmm Mexican food...I could eat it for every meal! What a great list..I would've mentioned everything here, but then the post would've been way too long! Yummy to mexican food! And I love cameras and the memories that they capture. 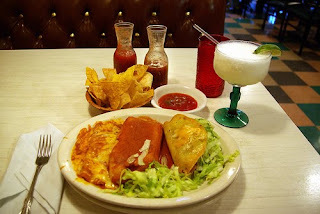 LOVE Mexican food and there is no place like Texas to get good Mexican Food!!! I am so thankful we can wear flipflops year-round. =) I love Mexican food too! Mmmm, that mexican food does look yummy!! I can't believe I forgot to put my camera on my list! I'm with you on all of the above. I also couldn't live without my fashion mags or The Office!